As we get ready to welcome 2018, many of us are thinking about small changes or tweaks we can make to enjoy a healthier, happier, and more productive year. What is on your list of goals as we bid adieu to 2017? If you are unhappy with the appearance of your smile, your cosmetic dentist in East Islip can help. 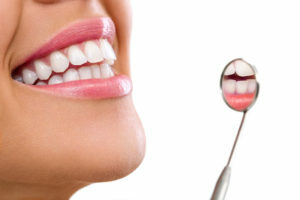 Keep reading to find out more about the services offered at East Islip Dental Care, and which one may be best for you. It’s time to love your smile! If you’re like most adults, your teeth aren’t as dazzling as they once were. Or, if you’re like one of the many people who are genetically predisposed to have darker tooth enamel, you may never have enjoyed a truly bright smile. Fortunately, there’s professional teeth whitening to help erase the visible signs of coffee, red wine, and all the other factors that influence the shade of your tooth enamel. We offer in-office and take-home treatments, and either one can brighten your smile by up to 8 shades. Those are results everyone is sure to love. Maybe you need a little more help than professional teeth whitening can provide — if so, your dentist in East Islip may recommend porcelain veneers or Lumineers, a special type of veneer. These options cover up imperfections with a fixed restoration that looks just like natural tooth enamel. Veneers and Lumineers are highly customizable to match the size, shade, and shape that suits your unique facial structure best. Both are applied over the course of two visits to the dentist’s office and can last for a decade or more with proper care. Let’s say you have experienced significant trauma to the teeth that show when you smile, whether as the result of gum disease, an accident, or any other factor. If so, you’ll probably need more than one treatment — and that’s when a smile makeover can come to the rescue. This is a comprehensive approach that your dentist takes to correct complex issues in the most efficient manner possible. Rather than fixing problems individually over the course of several years, we can take a whole-picture approach to dramatically improve your smile with dental implants, porcelain veneers, teeth whitening, and any other restorative or cosmetic procedure you may need. If you are unhappy with the appearance of your smile for whatever reason, cosmetic dentistry is likely a wonderful option for you. Don’t hesitate to get started on your beautiful smile today! Because everyone deserves clean, healthy, and radiant teeth. At East Islip Dental Care, our team of dentists provides comprehensive dental care for patients of all ages. To learn more about our services, including cosmetic dentistry, or to schedule an appointment for the same, you are invited to contact your dentist Islip at 631-581-8600.